Rad Cyrus could go out in the evenings to one of the many bars in South Lake Union, where the 34-year-old Iranian immigrant works for Best Buy as a business intelligence product manager. Instead, he goes home to his wife every night — though his Shoreline condo is a dead zone when he gets there. At 8:30 or 9 p.m., it’s time — morning in Tehran. His wife, Aghdas “Samira” Mohammadkani, will be up and ready to video chat. For the next hour and a half or two, until he has to go to bed and she has to go the institute where she teaches art history, they approximate a life together. They talk about their days. They simultaneously watch movies or “The Ellen DeGeneres Show,” a favorite, pausing when one of them has to go to the bathroom. Sometimes he reads to her from a book he is translating into Farsi that has helped him deal with loneliness, a compilation of talks by an Indian spiritual figure. Or he plays steel drums — elegant, domed instruments with a meditative sound — while she paints sneakers and accessories she sells on Etsy. The prospects are uncertain. They have been waiting nearly four years for the U.S. government to say whether it will let Mohammadkani immigrate. President Donald Trump’s travel ban — restricting visas for people from Iran, Somalia, Libya, Syria, Yemen, North Korea and Venezuela on the grounds they might pose a national security threat — has caused much of the holdup. The impact of the third and current version of the ban is happening largely out of the spotlight. There is no airport chaos to draw cameras, as with the hastily announced first version of the ban just after Trump took office in January 2017. Public attention has moved on to a series of new, explosive battles over immigration, like the president’s demand for border-wall funding and his family-separation policy at the border. Forgotten, it seems to some affected by the ban, is that their families are being separated, too. Those in the U.S. awaiting loved ones are both impoverished refugees and employees of some of the country’s highest-profile companies. 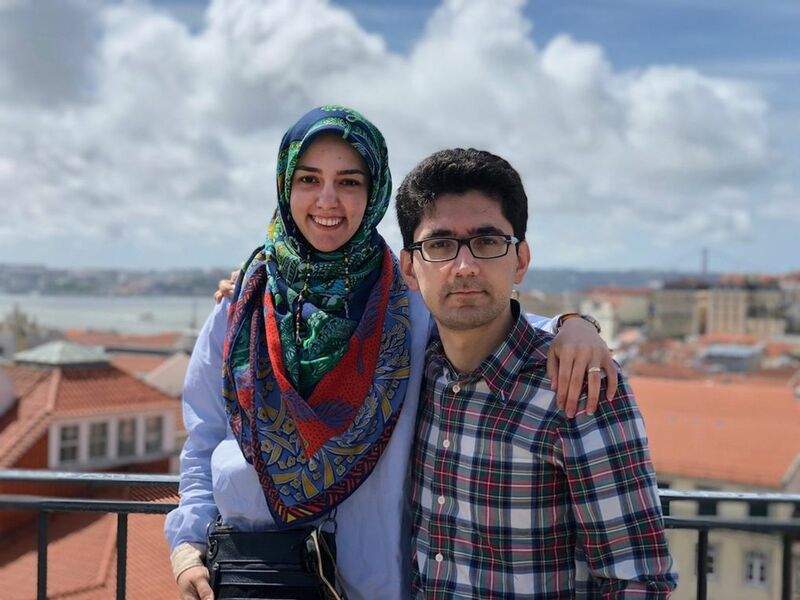 “We don’t know what to do,” said Mohammad Taha Bahadori, an artificial-intelligence researcher at Amazon who is also trying to bring his wife here. Their plight is permeated by a maddening “vagueness,” he says. Unlike the second version of the ban, the third grants no automatic exceptions to family members of people in the U.S. Visa applicants must apply for waivers to the ban. Yet, there is no actual application form. Somehow, they must show they are not a threat to national security or public safety, that a visa denial would cause undue hardship and that their coming to the U.S. would serve the national interest. The government cites close family members of legal immigrants as an example of people who might qualify. Many awaiting visas say they are stuck in perpetual limbo, separated from spouses, children and parents without any information. More than a year after travel ban 3.0 took effect, however, waivers have proved exceptionally hard to get, according to people in the Seattle area seeking them for relatives, a website launched in January with more than 100 videos by people affected by the ban, and two class-action lawsuits in California. A divided U.S. Supreme Court upheld the ban last June. But the federal suits challenge its implementation, specifically the process of approving waivers — called “haphazard, opaque and capricious” by one, whose named plaintiffs include four local residents and the immigrant-advocacy group OneAmerica. The State Department will not comment on individual cases. While Congress last month passed a law requiring detailed reporting on the travel ban’s impact, the government has released limited information. State Department figures show the ban caused roughly 38,000 visa denials over the last two fiscal years, ending on Sept. 30. Some denials were reversed. The government says it “cleared” 2,673 people for waivers as of Jan. 31. But what that means is ambiguous. The number includes people who have not gotten visas yet and may still be in “administrative processing,” according to the State Department. The government won’t say what percentage of overall applicants have received waivers and visas. Some Somalis are stuck in refugee camps waiting for waivers. Bellevue attorney Karol Brown said it was like a miracle when a young child in one such Kenyan camp finally got a waiver to rejoin his mom, one of Brown’s clients. Yemenis fleeing a brutal war also are waiting. Although the government makes no numbers available, it’s almost certain that the most people in line for waivers are Iranians. Tensions have long been bitter between the Islamic republic and the American government, escalating so much under Trump — who calls Iran “the world’s leading state sponsor of terror” — that there is speculation of war. Yet in years past, Iran, of all the countries named in the ban, typically sent the largest number of immigrants, students and visitors to the U.S.: more than 37,000 in fiscal year 2016. The travel ban, which imposes varying restrictions according to country and still allows Iranian students into the U.S., slashed that number by 80 percent in 2018. As far back as the 1950s, Iranians have sought higher-education degrees in the U.S., according to a report by the Public Affairs Alliance of Iranian Americans. Iran’s 1979 revolution, bringing Ayatollah Ruhollah Khomeini to power, sent thousands of political exiles here as well. The U.S. cut down on visas issued to Iranians after 9/11. But in recent years, the numbers went up again, as a new generation of tech-savvy Iranians arrived to study and work. In 2017, about 8,500 people born in Iran lived in Washington state, according to Census figures. The former Expedia CEO, Dara Khosrowshahi, who is now head of Uber, hails from Iran, noted Ali Ghambari, a longtime Seattelite who founded the Iranian American Community Alliance as well as Cherry Street Coffee House. So does Hadi Partovi, a former Microsoft executive who runs a Seattle nonprofit devoted to expanding access to computer-science education. Cyrus, who worked for Amazon before Best Buy, said his life was fine in Iran. He worked in tech there, too, and was involved in a long-term relationship with Mohammadkani, the author of two books about film, theater and art. But the famed American tech sector beckoned, and Cyrus had a way to get here. His mother had come to California years before, following her brother and parents, and become a U.S. citizen. She sponsored him for a green card. To use it, Cyrus would have to leave his girlfriend, at least for a time. He said he thought: “I’m just going ahead of her.” He would get a job, find a place to live and then — after coming back to marry Mohammadkani — sponsor her for a green card. It was late 2014. Barack Obama was president. Others who had been through the process said the wait for a green card might take a year or two. Most of that time would be waiting for an interview at one of three U.S. embassies dealing with Iranian visa applicants. All went according to plan, at first. They married in February 2015 and she applied for a visa that June. Eventually, she had an interview scheduled at the embassy in Abu Dhabi. The problem: It was for February 9, 2017, two weeks after Trump announced the first travel ban. Her interview was canceled, then rescheduled, as head-spinning legal developments put implementation of the ban in doubt. An embassy officer told Mohammadkani she should get an answer in two or three months, according to Cyrus. Waivers were not part of the equation. In December 2017, with the couple still waiting for an answer, the waiver system kicked in. They had to guess what it meant. No U.S. official got back to them to say if they needed one or how to get it, Cyrus said. 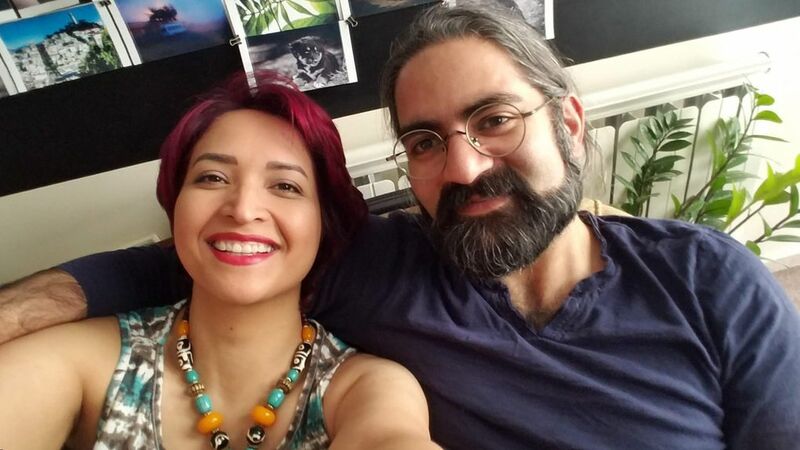 On the advice of a consultant working with Iranian visa seekers, they submitted an array of extra documents, including proof that Cyrus had bought a home in the U.S. and set up a business to sell Mohammadkani’s handicrafts on Etsy. “There’s no process for accepting and considering evidence,” said Babak Yousefzadeh, a former president of the Iranian American Bar Association, which is involved in one of the class-action suits. Some embassies accept material supporting a waiver, some don’t, he said. The toll of separation takes many forms. “My performance goes down sometimes,” said Amazonian Bahadori, 32, who came to the U.S. in 2008 to get his Ph.D. in electrical engineering from University of Southern California, Los Angeles. He has barely furnished the house he bought in North Seattle because his wife wants to do it when she comes. He met Sama Ghoba, who worked in customer relations for a Tehran startup, when he was back for a visit. They promised each other before getting married in July 2016 that they would reunite every three months while they waited for Ghoba to get a visa. They have now logged five trips together to Europe and Asia. On top of that, Bahadori travels to Iran twice a year. Bahadori reckons travel costs have come to at least $30,000. 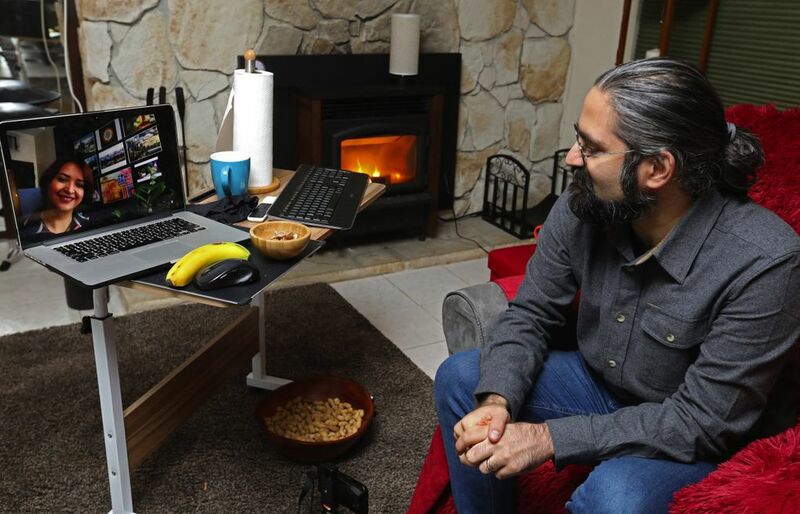 Houtan Neynavaee, a Microsoft engineer from Iran who sponsored a visa application for his parents after he became a U.S. citizen in 2016, said he does not have the option of visiting them. As a convert to Christianity, it would be dangerous, he said. Conversion to a religion other than Islam is illegal in Iran, and converts can be imprisoned. His father suffers from epilepsy and has had several bad accidents. “What will happen if something happens to him and I can’t see him again?” Neynavaee asked. Others say their loved ones face dangers in Iran while they wait for a visa. Homosexuality is punishable by death in Iran, noted one emigrant to Seattle who sponsored a visa for his husband. 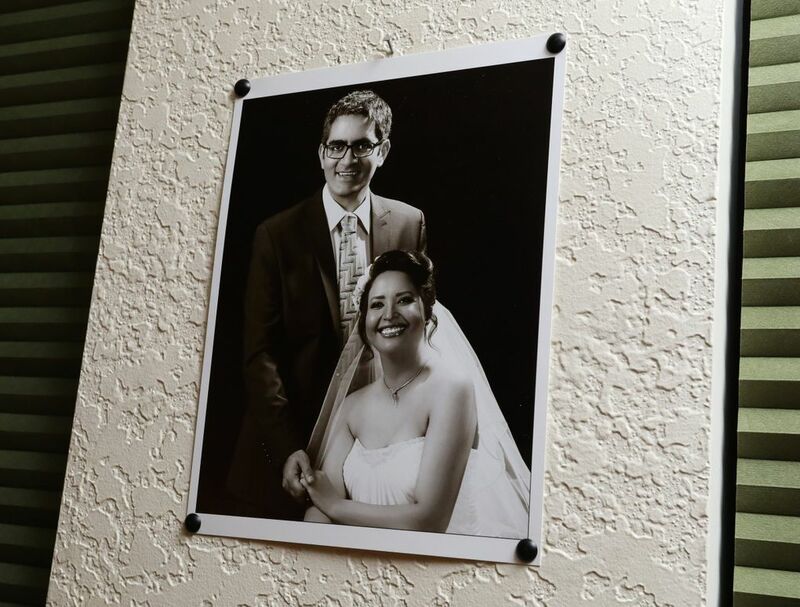 They married in Europe, and then his husband returned to Iran. Cyrus’s and Mohammadkani’s concerns are more like any young couple’s. That night, she told Cyrus news she heard about another couple in their situation. 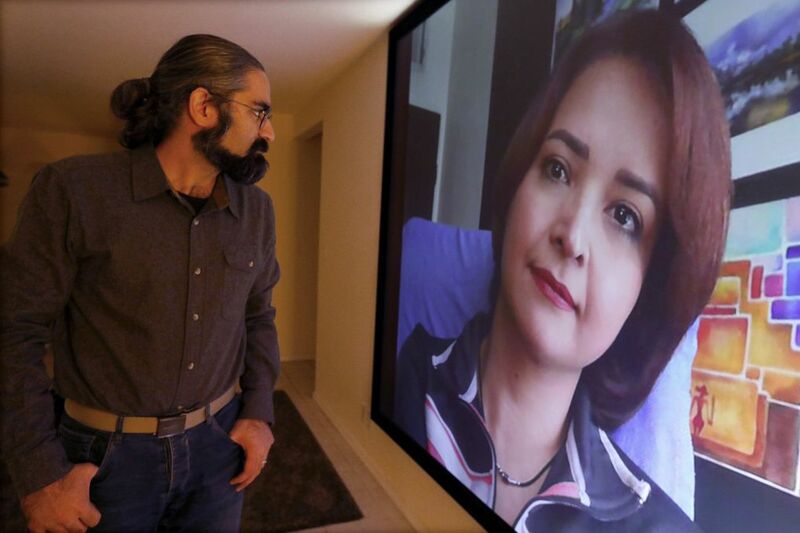 The man, in Texas, had been diagnosed with cancer while his wife, a doctor, waited for a visa. He sold everything and returned to Iran. “Whenever we get emotional, we start contemplating going somewhere else,” Cyrus said. Perhaps Germany. They’ve heard it’s easy for Iranians to get visas to go there. Others look to Canada. On Feb. 25, Cyrus got the first official word that his wife needed a waiver. It came in the form of an email from the embassy in Abu Dhabi, forwarded by Sen. Maria Cantwell’s office, who had looked into the matter. “No additional documents are needed at this time,” the email said. “This process may take several months, and once completed, the applicant’s case status will be updated on our website.” Until then, the case was in administrative processing, the same status as a year and a half earlier when Cantwell’s office forwarded another letter from the embassy.